Sandy’s career has always been in the building/property management field however, she never thought she would have the amazing opportunity to actually work for a tree house builder with 14 acres, 4 buildings, imaginative structures and activities. 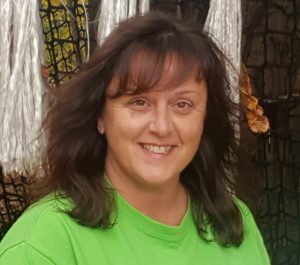 Sandy loves talking with people which is a perfect fit for our Treehouse World customers to book their party or group outing. Sandy has lived in the West Chester area her whole life. Her first love is her children/family, her second, the outdoors. Whether it be the beach, the mountains, camping, on the back of a motorcycle…the outdoors is her happy place. “The tranquility of the outdoors puts life into perspective”. Her personal goal…to learn something new every day and prosper.